Campervan is over 1.000 Followers in Facebook !! Home / Caracolvan news / Campervan is over 1.000 Followers in Facebook !! Many thanks to everyone! We are more than 1.000 friends in Facebook in our third summer renting Campervans in Cadiz, Andalucia, Spain. 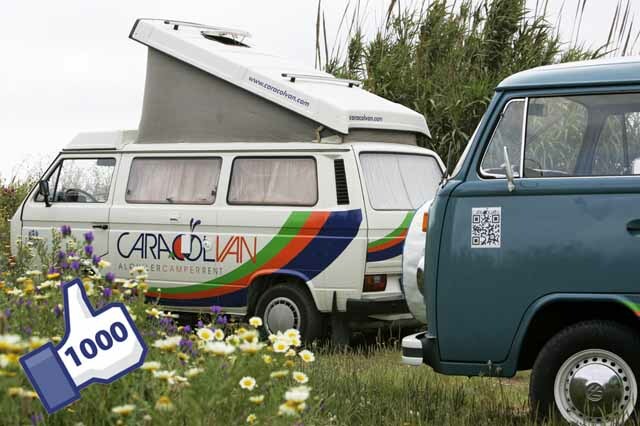 Caracolvan family grows every year, more than 1.000 friends on social networks and eight fully equipped Campervans for rent. Caracolvan Camper van Rental have reached 7 years !